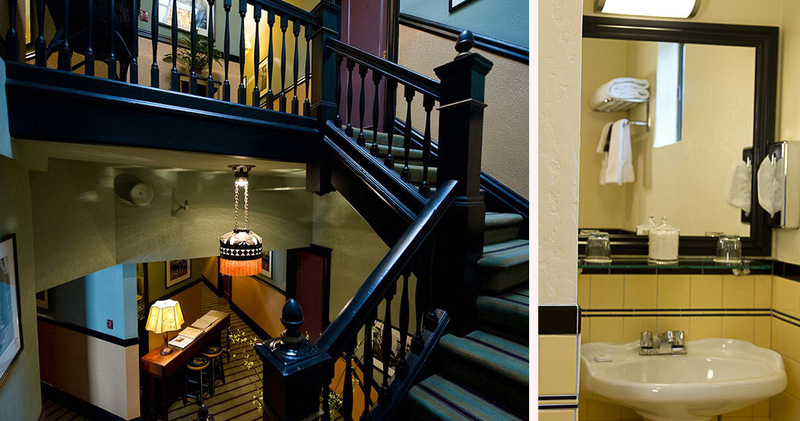 Oozing with charm and character, Hotel Boheme is a historic hotel inspired by Bohemian style. 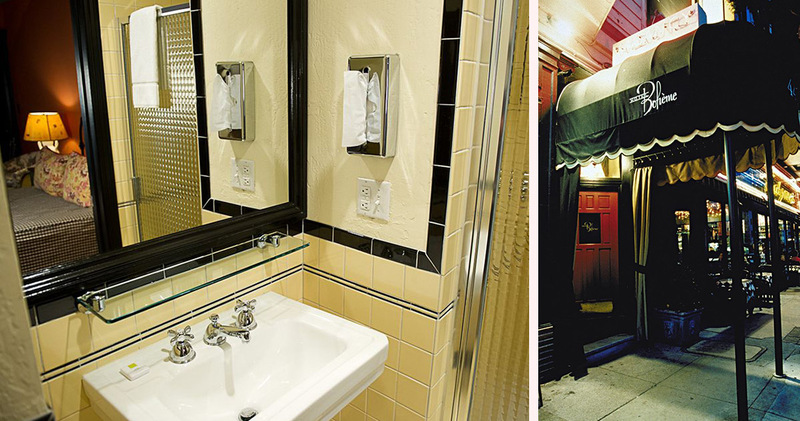 Located in North Beach, Hotel Boheme is close to the famed Sentinel Building and Washington Square Park. Originally built by an Italian family during the 1880s, the hotel was a typical building, with ground floor retail stores and upper-level lodgings. It was completely destroyed in the Great San Francisco Earthquake but was later restored to its current form. 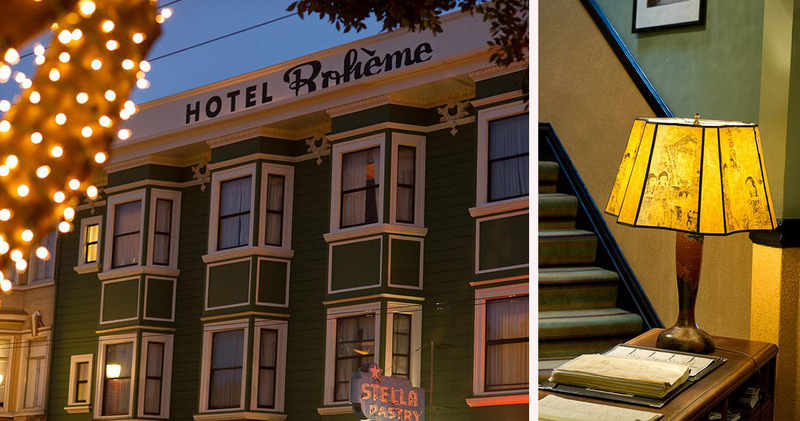 The design of Hotel Boheme San Francisco aims to capture the essence of the North Beach culture of the late fifties. Inspired by the area’s Bohemian style during the Beat era, the hotel’s interior features strong colors and patterns and an eclectic mix of literary motifs. 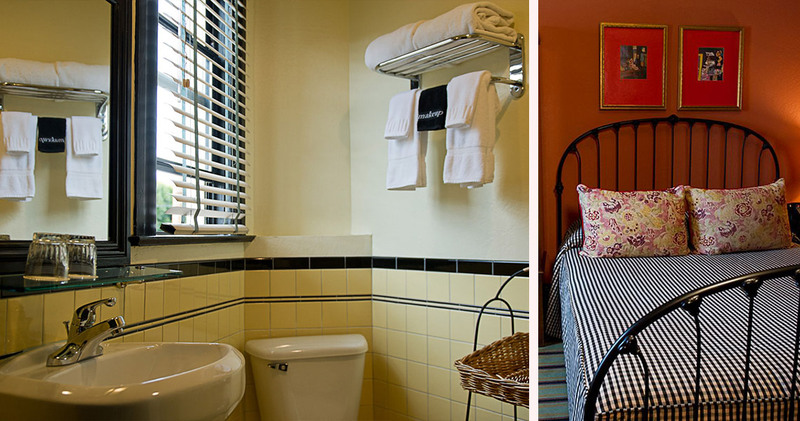 The thoughtfully designed guestrooms at Hotel Boheme are fun and eclectic. Guests can choose a secluded room or one offering a view of Columbus Avenue. 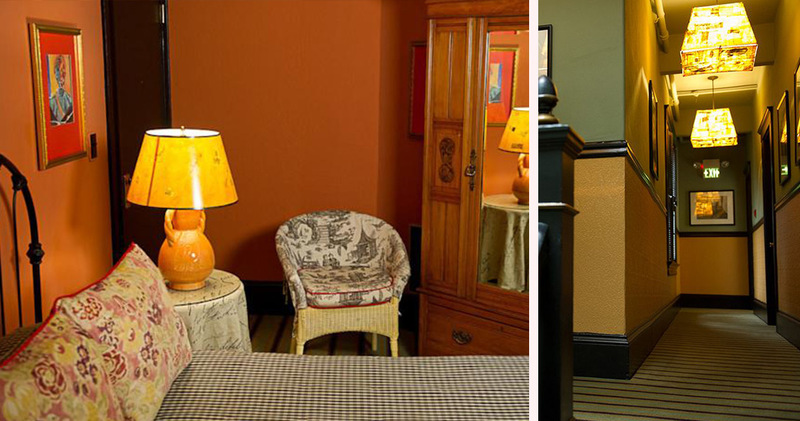 These funky rooms feature wrought iron beds, comfortable armchairs and large, hardwood wardrobes. The carpets, fabrics and walls are vibrantly colorful, while floral pillow covers add a touch of charm. With unique features such as a retro telephone and bohemian bedside lamp, rooms offer guests an authentic San Francisco experience. The well-designed bathrooms have a pedestal sink, wicker basket storage and black and cream tile design. 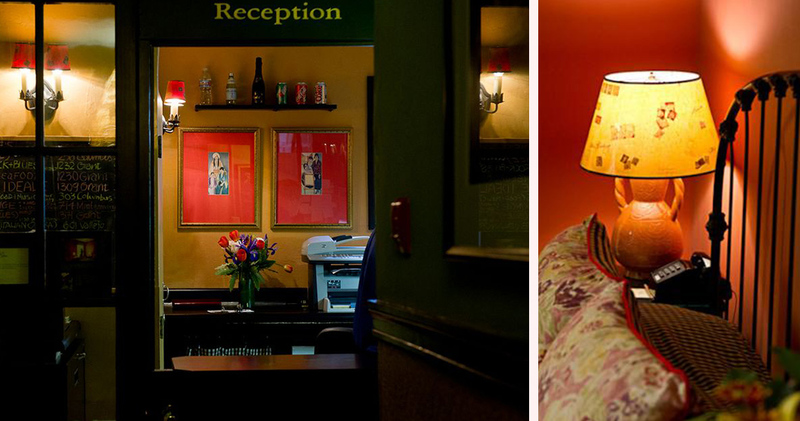 Hotel Boheme is located close to North Beach’s excellent Italian restaurants like L’Osteria del Forno and Calzone. If you’re in the mood to try something else, head to The House for excellent Asian American cuisine. North Beach is all about Italian character and eccentric bars that evoke the Beatnik and Barbary Coast eras. This vibrant neighborhood is the city's busiest nightlife district and is known for its collection of restaurants, bistros, cafes, jazz clubs and cabarets. Visitors will find enticing delicatessens with ravioli, provolone and prosciutto in North Beach. For authentic Italian, restaurants like Rose Pistola and L'Osteria del Forno are excellent choices. Revel in the beat culture at hotspots like Tosca Cafe and Vesuvio. For sightseeing head to the Coit Tower for spectacular views or the City Lights Bookstore, famous as the birthplace of Ginsberg's Howl.